Adam Czerniak is the author of several scientific publications in the field of economic sociology, institutional economics, and the functioning of the real estate market. He works both on macroeconomic and microeconomic issues. Adam is Doctor of Economic Sciences and researcher at Warsaw School of Economics (Szkoła Główna Handlowa, SGH). 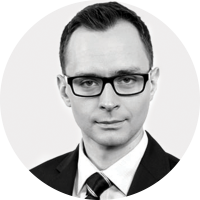 He was economist of the Treasury Department at Kredyt Bank until 2012, and previously cooperated with the World Bank and FOR Foundation (Fundacja FOR).